Argentina Signs Information-Sharing Agreement With the U.S. The agreement, which Argentine officials said they were pursuing in September, is part of a government crackdown on alleged tax evasion by individuals. Argentina also has implemented a tax amnesty plan to recover an estimated $500 million in assets held abroad. 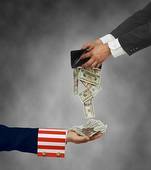 Quyen Huynh, associate international tax counsel at Treasury, said December 16, 2016 at a George Washington University tax conference in Washington, that the U.S. is also pursuing a full tax treaty with Argentina, and is expected to negotiate through 2017. Both of these events are indicative of Washington's approval of the President Mauricio Macri free-market reforms. US Treasury Secretary Jack Lew said on December 23, 2016 that "This agreement furthers Argentina's reintegration in the global economy and marks an important next step in the new era of the US - Argentina relationship." Argentina's finance ministry said in a statement the agreement would help the government identify undeclared assets in the United States as well as combat money laundering and the potential financing of terrorism. The taxpayers were Mr. and Mrs. Bohanec and Mr. Bohanec owned a camera shop in California. He had two camera-related patents that he obtained without any assistance from an attorney. For many years in a row, the Bohanecs had an accountant prepare their tax returns. The Bohanecs arranged with Leica, a German camera manufacturer, to become an exclusive Leica dealer. The camera shop was the only exclusive Leica dealer in the world. After other retailers complained about the deals the camera shop received, Leica ended the exclusivity deal and restricted the camera shop's Leica purchases. Leica had a subsidiary in Canada called Leitz Canada, which was headed by Walter Kluck. Sometime in the late '70s, the shop started purchasing Leica cameras from Leitz Canada and thus avoided the supply constraints imposed by Leica. The camera shop shipped to customers around the world. During the '80s, the Bohanecs brokered transactions between Leitz Canada and various camera retailers around the world. Kluck contacted the Bohanecs requesting their assistance in finding international buyers, for which the Bohanecs would earn a commission. Commissions for international sales were deposited into an account at UBS AG in Switzerland in the Bohanecs' name. UBS AG is a Swiss financial-services company. Kluck opened the Swiss account on the Bohanecs' behalf. The Bohanecs did not provide UBS AG with their home address. The Bohanecs did not tell anyone in the U.S., other than their two children, of the existence of the Swiss account. By the time the Bohanecs had the Swiss account, they no longer used a bookkeeper or kept any books. The Bohanecs never discussed the Swiss account with an accountant, lawyer, or banker. In addition to the Leitz Canada commission deposits, the Bohanecs directed their international customers, on at least a few occasions, to deposit money directly into the Swiss UBS account. The UBS account was managed by Kluck while he was alive and, thereafter, by UBS. 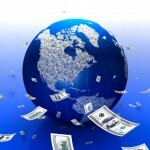 The Bohanecs opened other foreign bank accounts in Austria and Mexico. They made several transfers from the UBS account to these other accounts. As of June, 2008, they had a balance of almost $650,000 in the UBS account. Between the filing of their '98 federal income tax return and May 19, 2011, the Bohanecs did not file any federal income tax returns. Between the opening of the UBS account and May 19, 2011, the Bohanecs did not file any FBARs. On Jan. 6, 2010, the Bohanecs executed an application to participate in the OVDP. The Bohanecs' application, submitted under penalty of perjury, represented that the "original balance and all funds deposited into the Swiss UBS account were after-tax earnings from our camera business." 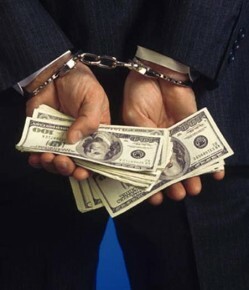 On May 19, 2011, the Bohanecs executed and filed FBARs and federal income tax returns for 2003, 2004, 2005, 2006, 2007, and 2008. While those FBARs included the UBS account, they did not include the Austrian or Mexican accounts. The Bohanecs were ultimately rejected by IRS for the OVDP. 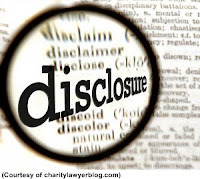 The Bohanecs did not report the commission income they received from Leitz Canada on their federal income tax returns. They also sold cameras on Ebay and didn't report that income on their returns. The only issue in this case was whether the Bohanecs' failure to file a 2007 FBAR was willful. Court defines “willful.” The court, rejecting the Bohanecs' argument, concluded that the term “willful” included “reckless” for purposes of FBAR. The court first noted that 31 USC 5321(a)(5) does not define willfulness. The Bohanecs asserted that “willfulness” encompasses only intentional violations of known legal duties, and not reckless disregard of statutory duties. But the court said that no court has adopted that principle in a civil tax matter. The only cases the Bohanecs cited to support their argument that “willful” means that a defendant must have knowledge and specific intent Ratzlaf v. United States, (S Ct 1994) 510 U.S. 135 (structuring) and United States v. Eisenstein, (CA 11 1984) 731 F.2d 1540 (felonious failure to file currency transaction reports) were criminal cases. The Bohanecs noted that IRS Chief Counsel, in Chief Counsel Advice 200603026, has opined that the willfulness standard for purposes of 31 USC 5321 is the same as the criminal standard. But, the court said, IRS Chief Counsel Advice may not be cited as precedent. The court said that, where willfulness is an element of civil liability, the Supreme Court generally understands the term as covering “not only knowing violations of a standard, but reckless ones as well.” (Safeco Ins. Co. of America v. Burr, (S Ct 2007) 551 U.S. 47) “Recklessness” is an objective standard that looks to whether conduct entails “an unjustifiably high risk of harm that is either known or so obvious that it should be known.” (Safeco) Several other courts, citing Safeco, have held that “willfulness” under 31 USC 5321 includes reckless disregard of a statutory duty. See Williams, (CA 4 2012) 110 AFTR 2d 2012-5298 and Bussell, (DC CA 2015) 117 AFTR 2d 2016-439. Court finds taxpayer's actions were willful. The court then concluded that the Bohanecs' failure to timely file an FBAR for 2007 was willful. The court first considered the issue of standard of proof. It said that the Supreme Court has held that a heightened clear and convincing burden of proof applies in civil matters "where particularly important individual interests or rights are at stake." (Herman & MacLean v. Huddleston, (S Ct 1983) 459 U.S. 375) Such interests include parental rights, involuntary commitment, and deportation. The lower, more generally applicable preponderance of the evidence standard applies, however, where "even severe civil sanctions that do not implicate such interests" are contemplated. (Herman) The court here said that the monetary sanctions at issue here did not rise to the level of "particularly important individual interests or rights." 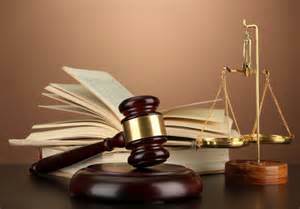 Accordingly, the court said, the preponderance of the evidence standard applied. The Bohanecs were reasonably sophisticated businesspeople. For a time, the Bohanecs' camera shop was the only exclusive Leica dealer in the world. The deals the Bohanecs negotiated with Leica's U.S. distributor were so favorable as to motivate other Leica retailers to protest. The Bohanecs were able to circumvent Leica's supply restrictions by entering into an international agreement with Leitz Canada. The Bohanecs had a worldwide reputation and sold and shipped to customers around the world. The Bohanecs were at least reckless, if not willfully blind, in their conduct with respect to their Swiss UBS account and their reporting obligations regarding the account. The Bohanecs never provided UBS with their home address, and never told anyone other than their children of the existence of the UBS account, including the tax preparers the Bohanecs hired to help them file tax returns. The Bohanecs never asked a lawyer, accountant, or banker about requirements regarding the UBS account and never used a bookkeeper or kept any books once the UBS account was opened. The Bohanecs' credibility was further undermined by their conduct with respect to their application to participate in the OVDP. The Bohanecs made several misrepresentations under penalty of perjury. 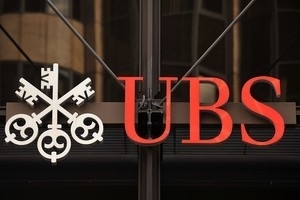 They misrepresented, for example, that all of the funds in the UBS account were after-tax proceeds from the Bohanecs' camera business, when in fact the account included Leitz Canada commissions that had never been reported on income tax returns. The application also failed to disclose the Bohanecs' Austrian and Mexican bank accounts. The case is Bohanec, (DC CA 12/8/2016) 118 AFTR 2d ¶ 2016-5537. From A Foreign Bank ? According to Law360 the First Circuit Court of Appeals overturned an earlier $234 million victory for Santander Holdings USA Inc. after ruling on December 16, 2016 that an internal securities transaction the bank had engaged in lacked economic substance and does not qualify for foreign tax credits. 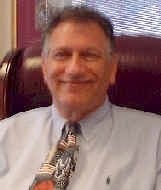 On November 16, 2015 we posted Judge Rules Thant IRS Owes $234M To Sovereign Bancorp where we discussed that a Massachusetts federal judge ruled that Sovereign Bancorp can recover some $234 million that it paid in taxes, interest and penalties to the federal government over an international securities transaction, finding the deal had a business purpose outside its tax benefits. 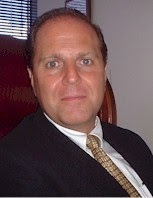 Granting a motion for summary judgment by Sovereign, now Santander Holdings USA Inc. and denying a cross motion for partial summary judgment by the federal government, U.S. District Judge George A. O’Toole Jr. decided that the so called structured trust advantaged repackaged securities, or STARS, transaction had economic substance. Now a three-judge panel unanimously held that the structured trust advantaged repackaged securities, or STARS, transactions set up by Sovereign Bancorp Inc., Santander’s predecessor, had only tax avoidance features with no bona fide business purpose or real economic risks. “The STARS Trust transaction itself does not have a reasonable prospect of creating a profit without considering the foreign tax credits, and, as a result, it is not a transaction for which Congress intended to give the benefit of the foreign tax credit,” Circuit Judge Sandra Lynch wrote on behalf of the panel, saying that the lower court had erred in concluding otherwise. The transaction involves a process in which Sovereign created a trust in 2003 into which it ultimately contributed about $6.7 billion of its U.S. located income producing assets. The trustee was a U.K. citizen subject to British taxes, and while the trust was also subject to U.S. federal income tax, it could claim a tax credit for taxes paid to the U.K. government. Sovereign then partnered with Barclays Bank, which acquired a $1.15 billion interest in the trust, but sold it right back to Sovereign for the same amount. Sovereign treated the $1.15 billion contribution from Barclays as a loan, and the trust entered into a series of transactions that generated a U.K. tax benefit for Barclays. The transactions involved the trust distributing funds to a blocked Barclays account that Barclays could not access but which allowed it to formally hold the funds in its name and be subjected to U.K. taxes. The blocked account then immediately returned the funds to the trust, resulting in Barclays being entitled to a tax credit and allowed to deduct its re-contributions to the trust as a tax loss. The case is Santander Holdings USA v. United States, case number 16-1282, in the U.S. Court of Appeals for the First Circuit. Marini & Associates, P.A. wishes you a Merry Christmas, Happy Hanukkah and a Happy and Prosperous New Year ! Happy Hanukkah and a Happy and Prosperous New Year !